Paul was Professor of Inorganic Materials at the University of Manchester where he served as Head of the School of Chemistry from 2004 to 2009 and Head of the School of Materials from 2011 to 2015. Professor O’Brien’s research centred on developing new chemical processes for thin films and nanoparticles; especially of chalcogenide containing materials. In 2002 he founded Nanoco, an AIM listed company that manufactures nanoparticles. He published more than 500 scientific papers and edited many books, including a series on nanoscience and technology. Professor O'Brien's awards included the Kroll Award, the Institute of Materials, Minerals and Mining (IOM3)'s Sir Colin Humphreys Award (for outreach), the Society of Dyers and Colourists (SDC) Gold Medal, the RSC's first Peter Day Award, and honorary degrees from the University of Zululand, the University of Liverpool and the University of Aveiro. 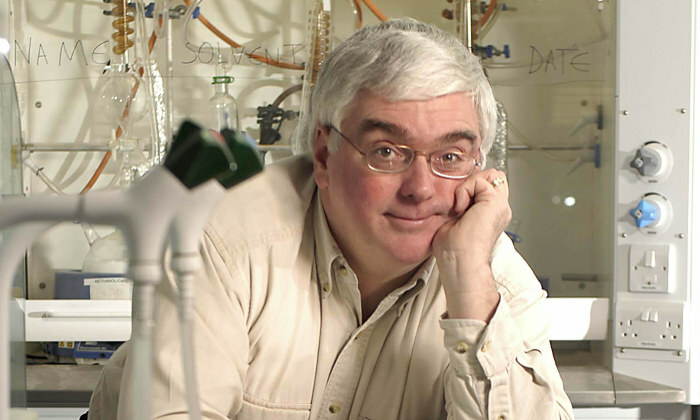 Professor O'Brien was elected a Fellow of the Royal Society (FRS) in 2013 in recognition of his many original contributions to chemistry and materials science. Professor O'Brien was appointed a Commander of the Most Excellent Order of the British Empire (CBE) in the 2016 New Year Honours for services to science and engineering and elected a Fellow of the Royal Academy of Engineering (FREng) in the same year. Paul's colleague and chief executive of the Royal Society of Chemistry, Robert Parker, said: "For many years Paul has been a steadfast, positive and committed member and representative of our Royal Society of Chemistry community. "Paul was a loyal supporter of others, great fun to be around and was generous with his time to both his research colleagues and the many friends he made through decades of involvement with our activities at the RSC. "We will miss him deeply and I pass on my sincere condolences to his wife Kym." Nicole Morgan, Education Policy manager at the Royal Society of Chemistry, added: “I worked with Paul on many RSC projects from the late 90s onwards. Paul's enthusiasm and commitment to chemistry and our community always shone through – he was collaborative, supportive and respectful of expertise and opinions. Paul was passionate about international development and over two decades he worked tirelessly to encourage excellence in teaching and learning across Africa. His efforts changed the lives of many young African scientists. More information about Paul’s outreach work can be found here and seen in the video below. Paul O’Brien passed away on 16 October 2018.